Local survivor’s tale of chutzpah now a film, thanks to daughter – J. Show up at Ben Stern’s elegantly appointed Berkeley condo and the first thing he does is hand out vodka shots. He has the bottle in hand, and he has laid out a spread of expensive shmaltz herring ready for noshing. At 95, Stern still has the gait and grace of a man half his age. And though he no longer hears well, his mind is intact. He forgets nothing. Even things he wishes he could forget. Born in prewar Poland, Stern and his family were caught up in the Nazi maelstrom. After being herded into the Warsaw Ghetto, they became separated when the ghetto was liquidated; Stern survived due to death-defying determination, but his entire family perished. Now his daughter, Charlene Stern, has completed a lengthy project to capture her father’s story on film. “Near Normal Man” is set to make its world premiere on Feb. 13 at the San Diego Jewish Film Festival. Charlene, the producer and director of the half-hour documentary, will be speaking at a filmmakers’ forum prior to the screening, and she’ll take part in a Q&A afterward. Ben Stern, meanwhile, is scheduled to be featured in “The California Report” newscast at 4:30 p.m. Friday, Feb. 3 on KQED 88.5 FM. 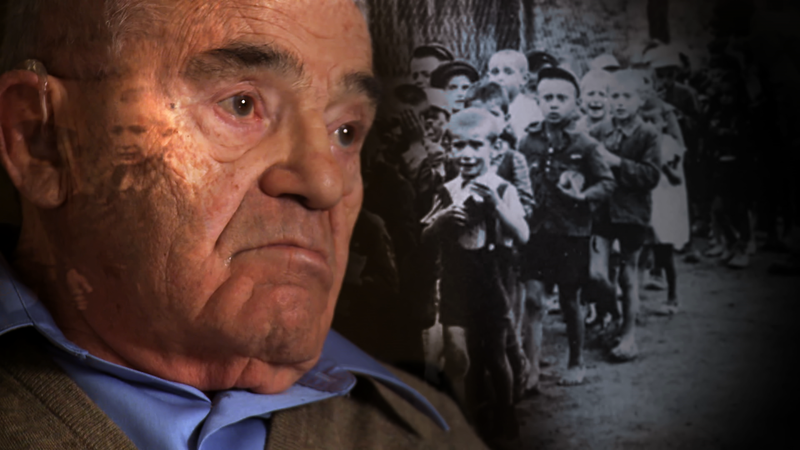 Though he has served as a Holocaust educator and public speaker for years, Ben Stern wanted to make the film for a specific reason. The title of the film comes from Ben’s comment that no matter how well he has done in life since the Holocaust — and he has done well — he can never be normal. The nightmares and memories haunt him to this day. “Of the inhumanity of that 68 months of Jewish suffering, it is my obligation to not permit that to happen again,” he says. His daughter got the idea of making a film seven years ago when Ben went on a trip to Poland with 29 high school students. 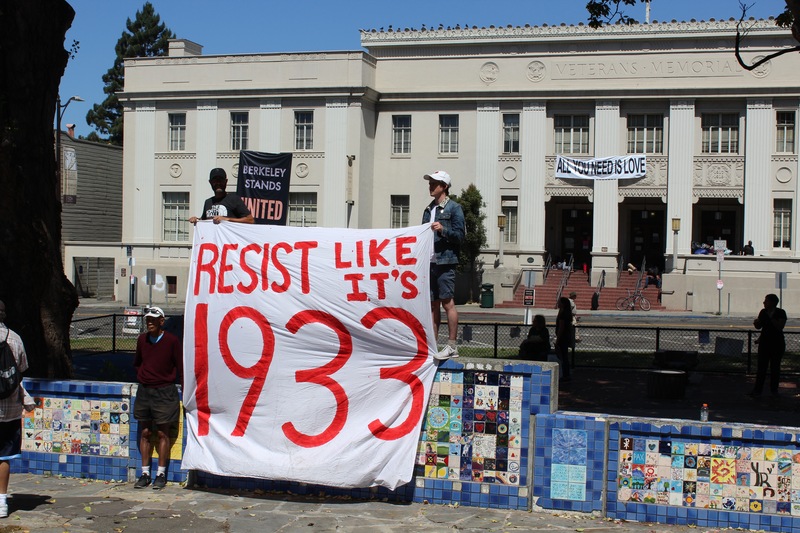 The trip, called Shalhevet, is a project of the Oshman Family JCC in Palo Alto in collaboration with BBYO and Jewish LearningWorks; it visited several concentration camps and Jewish cemeteries. She went on the trip, too, and with that footage she put together a team of producers and editors to shape the documentary. “Near Normal Man” includes emotional on-camera interviews with Ben Stern, rare stock footage and evocative animation to visually capture the agony of the camps. The process took years, largely due to lack of funding. Over time, Charlene raised the $200,000 necessary to complete the film. Ben’s on-screen narrative recounts not only his experience in the ghettos and the camps, but his leading role in 1977 when a group of neo-Nazis chose the largely Jewish Chicago suburb of Skokie as the site for a march. Skokie, Illinois, had a population of about 70,000 at the time of the proposed march, 40,000 of whom were reportedly Jewish, including 5,000 survivors. Among them was Stern, who spearheaded a movement to say no to Nazis. In the end, only 20 marchers showed up, drowned out by Stern and throngs of Jewish and other groups. Stern’s story is one of extraordinary pain and miraculous survival, one recounted in detail in the film. Born in the town of Mogielnica, Poland, he and his family were first thrust in a town ghetto, then in November 1940 transferred to the infamous Warsaw Ghetto, where they lived in squalor for nearly two years. With the liquidation of that ghetto in July 1942, he was separated from his family and sent to the concentration camp in Majdanek. He later was transferred to Auschwitz, where he survived selection for death by falsifying his tattoo number. He also endured two death marches in the freezing cold. As he says in the film, by war’s end he had dropped to 78 pounds. He met his future wife, Helen, in the Bergen-Belsen displaced persons camp in Germany, and the two immigrated to Chicago, where they started over. Three kids, prosperity and happiness still could not erase the horrors Stern endured. These days, Stern still walks 1½ miles every day. He surrounds himself with children, grandchildren, friends and love, though he did show an impatient streak with Charlene over the completion of the documentary. 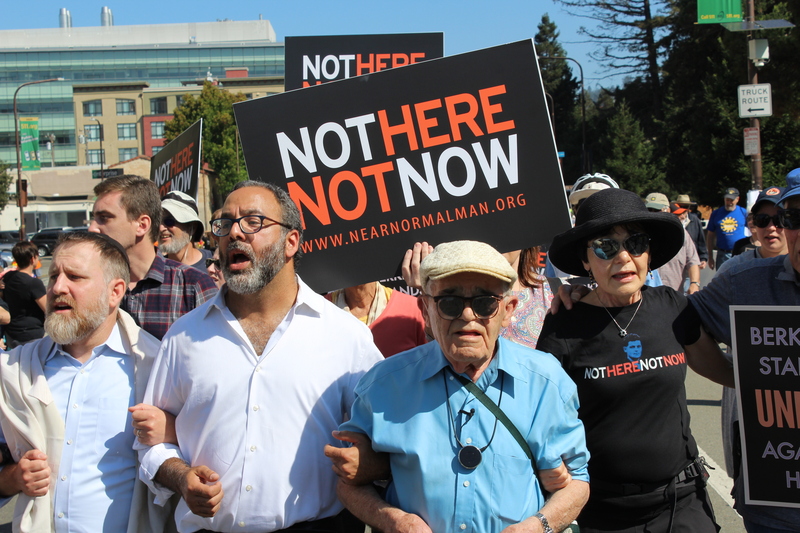 Charlene Stern hopes to get “Near Normal Man” into the hands of Holocaust educators, Jewish day school teachers and anyone who wants to make sure future generations learn the lessons of the past. No Bay Area screenings are scheduled as of now, but last month she signed a contract with Filmakers Library, an educational film distribution company that places films like hers in libraries, museums, houses of worship, colleges and others. She is gratified to know her father’s story and message will live on.